The Grateful Dead may be the most profitable rock band in history even though it has never had a #1 single or a #1 album. Only two of the band’s song ever cracked the top 40 on the pop charts. Despite the death of its leader Jerry Garcia in 1995, Grateful Dead Productions continues to generate about $30 million a year in sales and licensing fees. Pretty good for a group that no longer exists. Jerry Garcia and the Grateful Dead were among the greatest niche marketers in history. They never pursued the top spot on the pop charts—or any ranking on the pop charts. 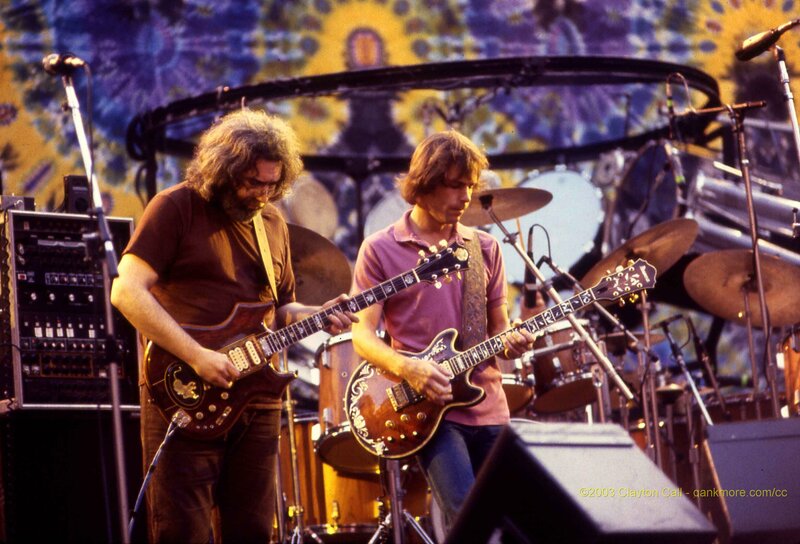 Instead, they dedicated themselves to pursuing a distinct style of music and cultivating a face-to-face relationship with their fans, building a loyal, even fanatical community of hundreds of thousands of Dead Heads by feeding this community exactly what it wanted, never deviating from its brand, for more than 35 years. The Grateful Dead built its following by playing an average of more than 80 concerts a year for nearly four decades. As the years and decades rolled on, the Grateful Dead’s following never waned, but actually strengthened. In the early 1990s, until Garcia’s death in 1995, the Grateful Dead were probably the only band that could sell out major professional football stadiums on consecutive nights with no mass-market advertising. Except for the fact that I am a follower of the Dead, I might never have known when the Grateful Dead was coming to Washington, D.C. because they did no mass-market advertising. But every summer when the Dead came into town, the 70,000 seats at RFK stadium would be sold out for both nights instantly, as soon as the tickets went on sale. Unlike other rock bands, the Dead would allow the Dead Heads to record their concerts and even sell the bootleg copies. In fact, a special area was set up at every concert specifically for the bootleggers, complete with sound equipment, so the recordings would be of decent quality. Why would the band allow this? They allowed it because a bootleg copy of a concert was free advertising for the band. The Dead believed there were no better marketers of the band than their fans. So why not let them record the concerts and distribute the tapes even if the band did not receive one cent from the sale of the tapes and CDs? The Dead also made a decision to own every aspect of its band so it would have complete control over the production and marketing of its products. It did not want its product corrupted by traditional promoters and the big name recording labels. It put a ceiling on ticket prices, cracked down on scalpers, and did not mind at all if its hippie Dead Head fans made a few bucks by making their own Grateful Dead tie-dye shirts and products, even though not licensed by the band. It did not matter to the band that it made nothing on the “counterfeit” Grateful Dead T-shirts. The band just figured it was more free advertising. Most importantly, the Dead made a decision to focus on its live concerts instead of recording records—because they were committed to spending face time with their fans. The Grateful Dead delivered more free concerts than any major rock band in history. In so doing, they created a devoted community of hundreds of thousands of Dead Heads who followed them from concert to concert. You were not considered a Dead Head unless you had attended at least 100 Grateful Dead concerts. There was also a kind of vague philosophy connecting the band and its Dead Head following. Their philosophy was intensely non-political and non-doctrinaire and went something like this: everyone should love each other or at least be nice to each other; and if more people listened to music (presumably the Dead), the world would be a much happier, less angry, more peaceful place. Kind of a naive philosophy perhaps, but it certainly worked for its fans. Jerry Garcia and the Dead did not care one wit about being at the top of the pop music charts. They cared about staying true to their unique style of folk rock music that had a touch of bluegrass and jazz underscored by a driving beat behind every song. They cared about their fans and giving their fans one song after another that had the unmistakable Grateful Dead beat and lengthy Jerry Garcia electric guitar riffs. And they turned their fans into a community. Harley Davidson motorcycles also follows this basic strategy, perhaps more consciously than the Dead. Harley-Davidson motorcycles are distinctly American road machines. They are big, noisy, and ride rough. They appeal to those who have a side to them that wish they could be like “Easy Rider,” those who love the freedom of the road, who like to dress in black leather, who want to look like a Hells Angel—at least for a weekend. The Harley appeals a lot to former Vietnam War veterans. On Memorial Day Weekend, we see 250,000 Harleys roar into Washington, D.C. as part of the annual “Rolling Thunder” event, aimed at honoring those who died in Vietnam, but also providing an opportunity for Harley riders to get together and party. Harley riders all feel themselves to be members of a community of fellow Harley riders. You would never consider showing up to “Rolling Thunder” (or a Hells Angels rally) riding a Yamaha. All of us niche target marketers can learn important lessons on how to create a unique brand and a loyal following by studying the Grateful Dead and Harley-Davidson. Their approach was not to be all things to all people. It was not to try to broaden their audience. It was to stay narrow and to drill deep—to focus all attention on their most dedicated enthusiasts, to never take their following for granted, to keep feeding their customers more of what they want . . . and to ignore everyone else. The Grateful Dead and Harley-Davidson stayed true to the 80/20 rule in marketing.